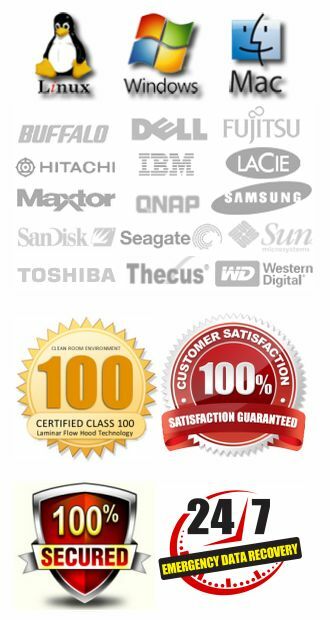 Since 2003, ACS Data Recovery has pledged to provide the most comprehensive and professional data recovery services possible to each and every one of our clients. We have seen steady and consistent growth for more than a decade, and the referral business we receive speaks volumes on the level of customer service we provide. Our company is constantly investing in new technology, tools, and research so that we can provide our customers the best possible chance of recovering their lost data from any type of media. This coupled with our extensive security measures that aim to keep your data secure, are some of the many reasons why we are one of the leading providers of data recovery in the world. We guarantee each and every customer will receive the best service possible. We don’t treat you like a number, we take each and every job seriously. We will not be the cheapest company out there, and we don’t want to be. We want to make sure we can provide the best chance at recovering your data, and that means going above and beyond what our competitors may be willing to do. We will exhaust every effort to retrieve your lost data. That may mean that we spend countless hours painstakingly rebuilding corrupted firmware, or piecing together individuals bits of a damaged RAID array, or we might go through 4 or 5 sets of heads for a single recovery on a physically failed hard drive. Our promise to you is that we will do everything possible to recover your lost data, and no matter how much effort is required, we NEVER charge more than you are initially quoted. We want to be a company you feel not only confident about using, but also comfortable. When you call you can easily speak with one of our data recovery engineers. It’s what makes us different. You’ll never speak with some generic call center employee. You can actually talk to people that have worked on data recovery cases. You’ll get educated answers, and a no nonsense approach to your case as well as a fairly accurate diagnosis of your problem. We guarantee that your data will remain strictly confidential and completely secured at all times. Your data is never shared, nor is there any way for it to be accessed from outside of our lab by anyone. We take data security just as seriously as the data recovery services we provide. Nothing is more important to us than keeping your data completely safe. We promise to provide you with the best customer service you could ever receive. You will never have to worry about surprises in pricing or additional charges. 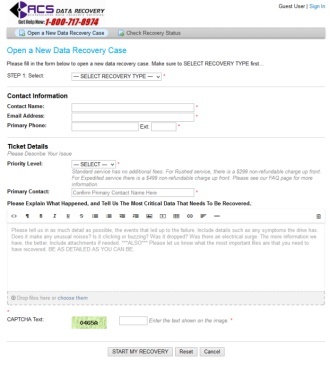 On top of that, we guarantee to recover the data you are looking for or you pay absolutely nothing.